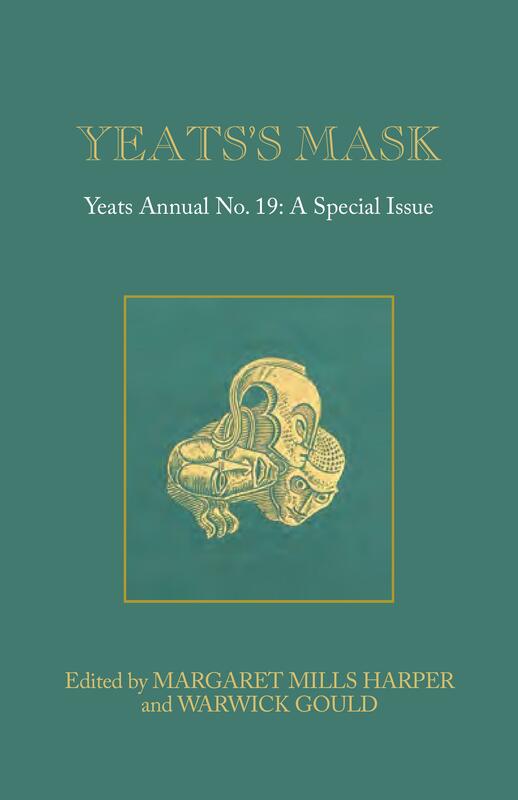 This number of Yeats Annual collects the essays resulting from the University College Cork/ESB International Annual W. B. Yeats Lectures Series (2003-2008) by Roy Foster, Warwick Gould, John Kelly, Paul Muldoon, Bernard O’Donoghue and Helen Vendler. Those that were available in pamphlet form are now collectors’ items, but here is the complete series. 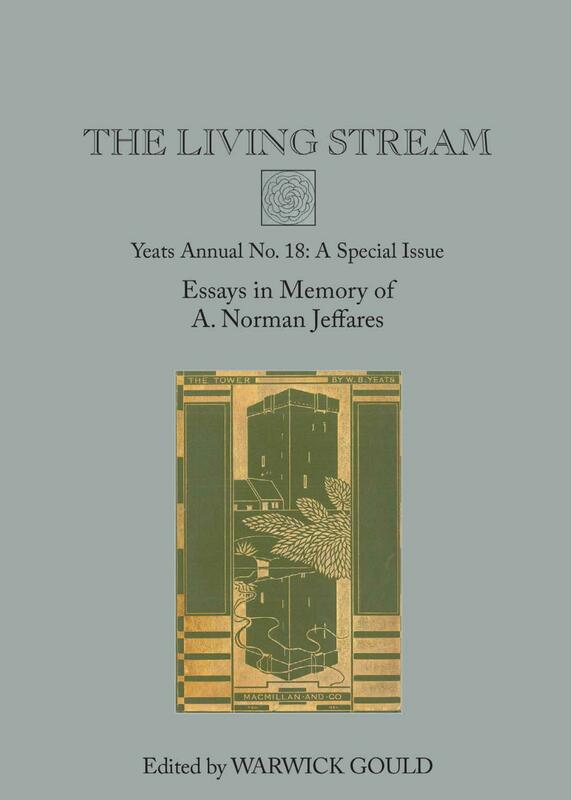 These revised essays cover such themes as Yeats and the Refrain, Yeats as a Love Poet, Yeats, Ireland and Europe, the puzzles he created and solved with his art of poetic sequences, and his long and crucial interaction with the emerging T. S. Eliot. The series was inaugurated by a study of Yeats and his Books, which marked the gift to the Boole Library, Cork, of Dr Eamonn Cantwell’s collection of rare editions of books by Yeats (here catalogued by Crónán Ó Doibhlin). Many of the volume’s fifty-six plates offer images of artists’ designs and resulting first editions. 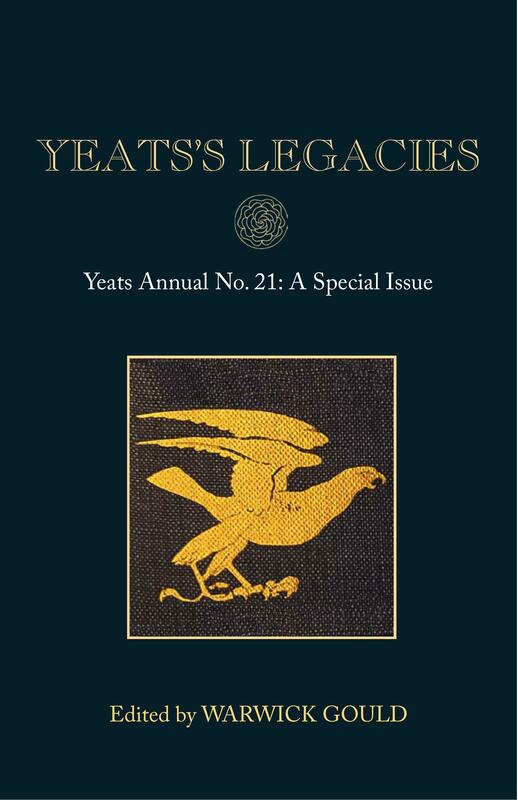 This bibliographical theme is continued with Colin Smythe’s census of surviving copies of Yeats’s earliest separate publication, Mosada (1886) and a resultant piece by Warwick Gould on that dramatic poem’s source in the legend of The Phantom Ship. John Kelly reveals Yeats’s ghost-writing for Sarah Allgood; Geert Lernout discovers the source for Yeats’s ‘Tulka’, Günther Schmigalle unearths his surprising connexions with American communist colonists in Virginia, while Deirdre Toomey edits some new letters to the French anarchist, Auguste Hamon—all providing new annotation for standard editions. The volume is rounded with review essays by Colin McDowell (on A Vision, and Berkeley, Hone and Yeats), shorter reviews of current studies by Michael Edwards, Jad Adams and Deirdre Toomey, and obituaries of Jon Stallworthy (Nicolas Barker) and Katharine Worth (Richard Cave). Jad Adams is an historian working as an author and an independent television producer. He specializes on radical characters from the nineteenth and twentieth centuries and the Decadence of the 1890s. His books include biographies of Tony Benn, Gandhi, Emmeline Pankhurst and of the Nehru dynasty. His literary work includes a biography of Kipling, Madder Music, Stronger Wine: The Life of Ernest Dowson (2000) and Hideous Absinthe: History of the Devil in a Bottle (2004). His television work includes biographies of Kitchener, Bill and Hillary Clinton and of characters from London’s East End. He is an Associate Research Fellow of the Institute of English Studies, University of London. Nicolas Barker OBE, FBA succeeded John Hayward as Editor of The Book Collector (founded in 1952 by Ian Fleming) in 1965, and edited it until 2016. He has been a publisher with Rupert Hart-Davis and Macmillan, a Keeper at the National Portrait Gallery and the British Library, a Sandars Reader in Bibliography at Cambridge, a Panizzi Lecturer at the British Library, and is a Senior Research Fellow of the Institute of English Studies, University of London. Notable among his prolific stream of studies and editions in all fields of Bibliography is his application of the methods of John Carter and Pollard in investigating the forgeries of Thomas J. Wise (a study which he edited and to which he co-wrote a sequel) to the forgeries by Frederic Prokosh: see his The Butterfly Books: An Enquiry into the Nature of Certain Twentieth Century Pamphlets (1987). Richard Allen Cave is Emeritus Professor of Drama and Theatre Arts at Royal Holloway, University of London. He has published extensively on Irish theatre, and edited the manuscripts of The King of the Great Clock Tower and A Full Moon in March (2007). His Collaborations: Ninette de Valois and W. B. Yeats appeared in 2008. Michael Edwards is Professor of Classics and Head of the Department of Humanities at the University of Roehampton, London. He was formerly in the School of English and Drama at Queen Mary, University of London, Director of the Institute of Classical Studies, and Head of Classics at the University of Wales Trinity Saint David. He is the President of the International Society for the History of Rhetoric. He has published widely on classical Greek oratory, including commentaries on speeches of Antiphon, Andocides, and Lysias, and a translation of the speeches of Isaeus. Professor Edwards was recently a co-editor of a three-volume edition of the Latin poet Statius (Newcastle upon Tyne: Cambridge Scholars Publishing, 2007) and he is currently working on an Oxford Classical Text of Isaeus and a commentary on Aeschines, Against Ctesiphon. John Kelly is an Emeritus Research Fellow at St John’s College, Oxford, and the Donald Keough Professor in Irish Studies at the University of Notre Dame. He taught English and Irish Literature at the University of Oxford from 1976 to 2009, and has written extensively on nineteenth- and twentieth-century literature. He is General Editor of The Collected Letters of W. B. Yeats, Volume 4 (2005) of which was awarded the Cohen Prize by the Modern Languages Association, and has also edited and introduced a 12-volume series of Irish fiction, poetry and essays of the nineteenth century, under the title Hibernia: State and Nation. His W. B. Yeats Chronology appeared in 2003. Paul Muldoon FRSL, Poet and Howard G. B. Clark ’21 Chair of the Humanities, Princeton University, is also an editor, critic and translator. His collections of poetry include New Weather (1973), Mules (1977), Why Brownlee Left (1980), Quoof (1983), Meeting the British (1987), Madoc: A Mystery (1990), The Annals of Chile (1994), Hay (1998), Moy Sand and Gravel (2002), Horse Latitudes (2006), Maggot (2010), and One Thousand Things Worth Knowing (2015). He was Professor of Poetry at Oxford University 1990–2004, and has been poetry editor of The New Yorker since 2007. A Fellow of the American Academy of Arts and Sciences and the American Academy of Arts and Letters and a Pulitzer Prize winner, he has also won the American Academy of Arts and Letters award in literature, the T. S. Eliot Prize (1994), the Irish Times Poetry Prize (1997), the Griffin International Prize for Excellence in Poetry (2003), the American Ireland Fund Literary Award (2004), the Shakespeare Prize (2004), the Aspen Prize for Poetry (2005), and the European Prize for Poetry (2006). Crónán Ó Doibhlin is Head of Research Collections and Communications in the Boole Library, Coláiste na hOllscoile Corcaigh (University College, Cork, now known as a constituent University of the National University of Ireland system). 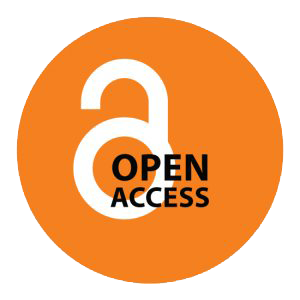 Every effort has been made to identify and contact copyright holders and any omission or error will be corrected if notification is made to the publisher. For the full copyright statement relating to each image, please refer to the list of illustrations.